Why shouldn’t reunions be able to push the easy button in hotel contracting? Why not a short form contract that is accepted by hotel brands coast to coast – a contract without room attrition clauses and threatening legal jargon? Military reunions are reliable, dependable groups and deserve special treatment. Jan Chapman is the Crowne Meeting Director with the Crowne Plaza Pensacola Grand Hotel (another BMR Star Hotel). “Wow, BookMyReunion.com is a no-brainer! Why didn’t someone think of this before?” Jan says. “I know it’s going to be hugely successful. Military reunions are our absolute favorite market and they deserve special treatment.” AFR just hosted the Army Otter Caribou Assn. at the hotel and it was like a homecoming. What a dedicated staff that loves the military! After planning thousands of reunions in 150 cities nationwide Armed Forces Reunions, Inc. knows what hotels are reunion-friendly. BookMyReunion.com (BMR) gives these hotels a platform to shine above the rest. BMR gives reunion groups a network of trusted hotels they can depend on. Reunions can sail from safe harbor to safe harbor, coast to coast, year after year. If you’re looking for a reunion-friendly destination please read all about Bloomington, MN in this issue. The Bloomington CVB has a long history of welcoming reunions to the home of the Mall of America. For groups that would like some extra help with online registration and nametags please CLICK HERE. We invite you to ‘Like Us’ on our Facebook page, with interesting articles and features on BMR Star Hotels, Top Reunion Destinations, and vet-friendly attractions. 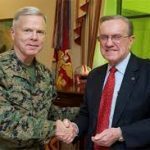 When retired Col. Warren H. Wiedhahn reflects on his 33 years of active duty in the U.S. Marine Corps, some of the first memories are as a teenager. Private First Class Wiedhahn was among the last Marines to leave China when the communists took over in 1949 and among the first Marines in Korea the following year. 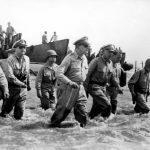 He saw combat in many battles, including Inchon Landing, Han River and the liberation of Seoul and the fierce fighting at Chosin Reservoir. He was prominently interviewed in Chosin, a film by retired Marine Anton Sattler that won best documentary feature at the 2010 GI Film Festival. 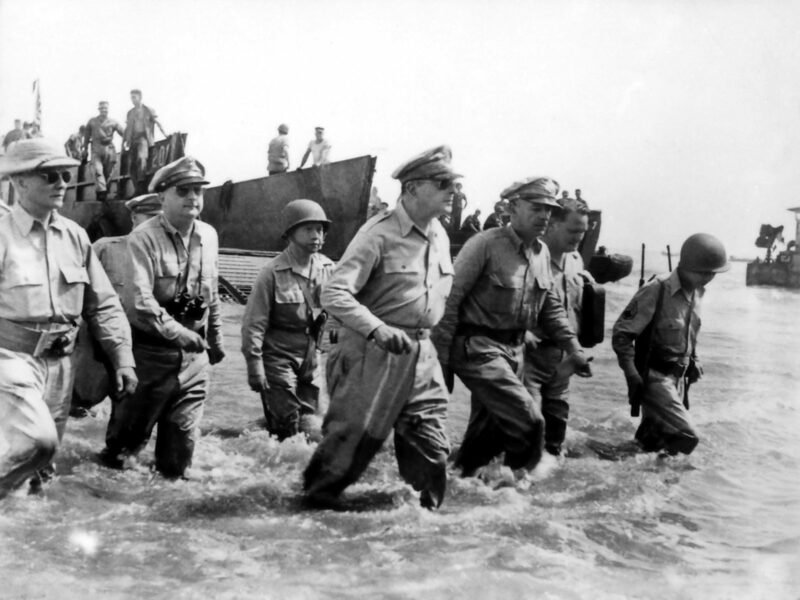 More than 120,000 Chinese soldiers surrounded 15,000 U.S. Marines and soldiers, who fought their way 78 miles to the sea, rescuing 98,000 refugees in the process. Wiedhahn went on to serve in the 3rd Marine Division in Vietnam, 1968-69 as both Executive Officer and Commanding Officer of the 3rd Battalion, 9th Marine Regiment. For his valor at the battle of Dewey Canyon he was awarded the Silver Star Medal. He received many decorations and awards during his career, including the Legion of Merit with Combat “V” and a Purple Heart. Wiedhahn attended the Naval War College in Newport, Rhode Island and was senior aide to the 26th Commandant of the Marine Corps, General Louis H. Wilson, USMC, MOH, 1975-76. Ordered again to the 3rd Marine Division on Okinawa, in 1978-79 he served as Commanding Officer of both the 4th and 9th Marine Regiments. Wiedhahn retired from the Marine Corps in 1982. In 1987 he founded Military Historical Tours (MHT), which takes veterans, their families and people from a diverse range of backgrounds to battlefields all over the world. Based in Woodbridge, VA, MHT customizes about 35 battlefield tours per year. Wiedhahn is a longtime member and officer of many Marine and military organizations. About 14 years ago he enlisted the experience and expertise of Armed Forces Reunions, Inc. to help plan and manage reunions for several groups, including the Korean War Veterans Association; Iwo Jima Association; 3rd and 1st Marine Divisions and The Chosin Few, Inc. AFR was founded by Ted Dey in 1988 in Norfolk, VA and is the leading military reunion planning company in the country, having planned and managed more than 2,000 reunions and conferences nationwide. While Wiedhahn hosts tours around the globe, he says the Pacific theater still has a special importance for him and the world. Bloomington is the city that sits at the doorstep of the busy Minneapolis/Saint Paul International Airport and is home to the world’s premiere retail and entertainment complex, Mall of America®. In Bloomington you will find every amenity a military group needs to plan the perfect reunion – competitive room rates and complimentary hospitality rooms, along with FREE parking and shuttles. Our hotels are military reunion friendly, offering comprehensive amenities, impeccable service, and reasonable room rates. As Home of Mall of America, Bloomington hosts more than 42 million trav elers from near and far, who are making their shopping pilgrimage to the world’s foremost indoor shopping and entertainment attraction. In addition to the mall’s 520 retail shops, visitors can have an outstanding meal at one of the over 50 restaurants and countless attractions including Nickelodeon Universe® and SEA LIFE® Minnesota Aquarium. 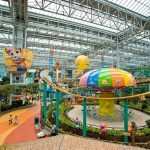 Plus, shopping without tax on clothing and shoes makes the Mall of America experience even more enjoyable – all under one roof. The convenient Blue Line Light Rail will whisk visitors to downtown Minneapolis and the brand new Green Line will do the same to Saint Paul. Hop on the Light Rail easily at Mall of America. 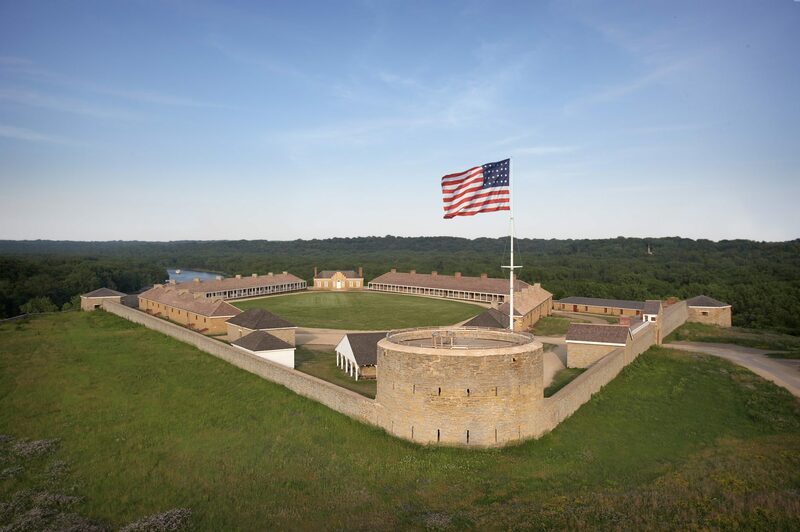 History buffs will treasure the opportunity to visit Historic Fort Snelling. 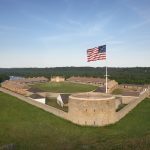 Built in the early 1820s, Historic Fort Snelling is a great place to learn about military history from before the Civil War through World War II, fur trade history, slavery in Minnesota, the U.S.-Dakota War of 1862 and much more. Its location – at the junction of the Minnesota and Mississippi Rivers in Bloomington – has been significant for centuries to many American Indian communities. Historic Fort Snelling is a National Historic Landmark. The city offers 38 economy to luxury hotels, 8,200 hotel rooms (which is more than Minneapolis and Saint Paul combined) and impeccable service to all guests. That’s why Bloomington is commonly referred to as the hospitality capitol of Minnesota. Hotels provide complimentary shuttle service to and from the airport and Mall of America, and there’s free parking throughout the city. Bloomington is a one-stop shop to plan your Military Reunion. Best of all, this service is absolutely FREE! Click Here to search Bloomington hotels. BMR: H ow long have you been working in the military reunion market, and how long at your current hotel? I have been working with military reunions for 12 years – all of them at the award-winning Holiday Inn Virginia Beach-Norfolk Hotel & Conference Center. BMR: What’s so significant about military reunions and how does the reunion market differ from other markets? The military reunion market is multi-faceted, and each reunion is unique with their specific requirements for hospitality rooms, banquets, welcome receptions, and tours of the area. Reunion attendees are so patriotic and such fun to have in the hotel. They meet to reminisce and have fun. BMR: What does your hotel do for reunions that’s special? Our experienced catering and banquet staff will assist every reunion planner from start to finish, exceeding all expectations. With over 22,000 square feet of meeting space we can accommodate groups large and small with the perfect hospitality rooms and banquet venues. All our meeting space is on the first floor, making reunion events easily accessible for all attendees. We hang group banners in the lobby, with group registration and hospitality just steps away. Parking and airport shuttle are complimentary. BMR: What makes your location so attractive to reunion groups? Our hotel is centrally located on the border of Virginia Beach and Norfolk. Virginia Beach’s oceanfront is only 10 minutes away. Other Virginia Beach attractions include the Military Aviation Museum, Little Creek Amphibious Base, Fort Story, and the Virginia Aquarium. We are also within 10 minutes of Norfolk attractions such as Naval Station Norfolk, the MacArthur Memorial, Spirit of Norfolk, Naval History Museum, Norfolk Botanical Garden and the Chrysler Museum. We are located just two blocks from The Tide Light Rail with direct access into downtown Norfolk. BMR: How will BookMyReunion.com benefit your hotel? Armed Forces Reunions, Inc. has long been the leader in the reunion market – and a longtime partner of our hotel. BookMyReunion.com, their new division, will bring immense exposure to our hotel. We are proud to be a BMR Star Hotel. With the BMR website it’s so easy for planners to locate our hotel geographically and having our own customized web page is special. BMR’s short form contract alleviates the negotiation process for planners and the hotel. The BMR contract process provides a “no hassle” format since all of the terms are agreed upon prior to signing, with the flexibility to offer additional concessions. October 7, 2001 – Operation Enduring Freedom begins. President George W. Bush announces that U.S. and British forces have begun airstrikes on Taliban and al Qaeda targets in Afghanistan. Airstrikes continue for five days. October 8, 1918 – During World War I in the Argonne Forest in France, U.S. Sergeant Alvin C. York single-handedly took out a German machine-gun battalion, killing over a dozen and capturing 132. He was later awarded the Medal of Honor and the French Croix de Guerre. October 13, 1775 – The United States Navy was born after the Second Continental Congress authorized the acquisition of a fleet of ships. October 17, 1777 – During the American Revolutionary War, British General John Burgoyne and his entire army of 5,700 men surrendered to American General Horatio Gates after the Battle of Saratoga, the first big American victory. October 19, 1781 – As their band played The World Turned Upside Down, the British Army marched out in formation and surrendered to the Americans at Yorktown. October 31, 1952 – The U.S. detonated its first hydrogen bomb at the Elugelab Atoll in the Eniwetok Proving Grounds in the Pacific Marshall Islands.